Academic data sharing is a way for researchers to collaborate and thereby meet the needs of an increasingly complex research landscape. It enables researchers to verify results and to pursuit new research questions with “old” data. It is therefore not surprising that data sharing is advocated by funding agencies, journals and researchers alike. In their paper Benedikt Fecher, Sascha Friesike, Marcel Hebing, Stephanie Linek and Armin Sauermann surveyed 2661 individual academic researchers across all disciplines on their dealings with data, their publication practices, and motives for sharing or withholding research data. progress, but by individual reputation- expressed in (high-ranking journal) publications. making data available to others – namely data citations. 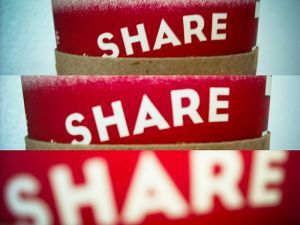 The authors also conclude that data sharing will only be widely adopted among research professionals if sharing pays in form of reputation. Thus, policy measures that intend to foster research collaboration need to understand academia as a reputation economy. Successful measures must value intermediate products, such as research data, more highly than it is the case now. Abstract: Despite widespread support from policy makers, funding agencies, and scientific journals, academic researchers rarely make their research data available to others. At the same time, data sharing in research is attributed a vast potential for scientific progress. It allows the reproducibility of study results and the reuse of old data for new research questions. Based on a systematic review of 98 scholarly papers and an empirical survey among 603 secondary data users, we develop a conceptual framework that explains the process of data sharing from the primary researcher’s point of view. We show that this process can be divided into six descriptive categories: Data donor, research organization, research community, norms, data infrastructure, and data recipients. Drawing from our findings, we discuss theoretical implications regarding knowledge creation and dissemination as well as research policy measures to foster academic collaboration. We conclude that research data cannot be regarded as knowledge commons, but research policies that better incentivise data sharing are needed to improve the quality of research results and foster scientific progress.